Exciting new features and services on the way for Club Website users in 2016 - watch this space! We're very excited to announce that Club Website is now part of the Teamer family - the leading team management app! Teamer offers FREE team management and payment services for sports teams and club. Trusted by over 2.5 million members worldwide, Teamer takes the hassle out of organising your team. What does this mean for our website? Nothing will change for Club Website users. 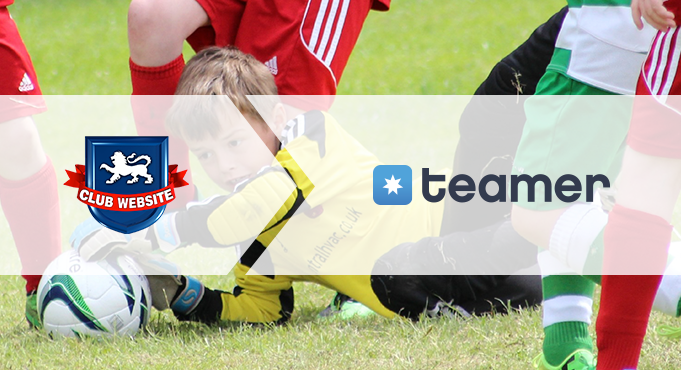 Working with Teamer, we're now able to offer all of our members a full suite of services for your club, via online and mobile application tools for coaches, managers, players and parents. We have lots of exciting new features planned for 2016, so watch this space! Teamer CEO Robert Mattar said: "We’re very excited to welcome Club Website and League Website to the Teamer family. Together we can offer the sports community a comprehensive set of tools to manage teams, clubs and leagues. We have some exciting plans ahead for 2016 and welcome feedback from the community on the features they would like to see in the future." It takes just a few minutes to set your team up on Teamer - find out more in the short video below. If your club is collecting payments or fundraising this Christmas, Teamer offers a simple and secure payment solution for clubs that lets you easily collect money from your members or fundraise for your club.